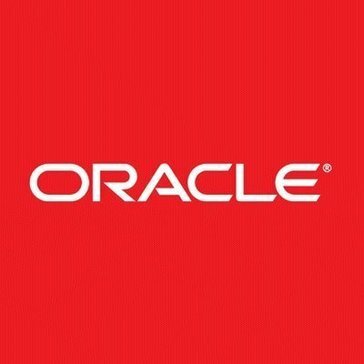 Work for Oracle Financials Cloud? Learning about Oracle ERP Cloud? ""Oracle ERP is most appropriate for any scope of ventures. "" The profundity of modules prophet offers is stunning. Aside from standard modules like General Ledger, Accounts Payables, Accounts Receivables, Purchasing, Manufacturing, Customer Relationship Management, Human Resources, Payroll etc.Oracle offers specialty modules as well. Prophet ERP is in presence since long and over some stretch of time Oracle aced many prescribed procedures crosswise over ventures. massive programming; needs progressively specialized help. There is nothing that I don't care for about this application . Prescribed for introductions concerning troublesome points, for example, money related information since you can arrange information and have measurements determined. Perceivability, get to controls, and better arranging. The pre-constructed examination answers for continuous basic leadership are extraordinary. Perceivability into the financials, as we plan for what's to come. Access Controls: We know who's getting to what and when, and we can rapidly control that entrance and scale it as our needs or business develops. We began as a little organization with just 40 individuals yet have developed to more than 220 this year and we didn't exceed this device. We understood considerably more advantages with more use. 1.Control your projects with this advanced system that contains all the necessary tools to manage everything related to business, the platform is modern and with an environment based on a service in the cloud. 2.comprehensive solution with industry specific details and scalability options. 3.I like that the website is easy to use and it also lets you save templates so that you don't have to re-input the project number each time you fill out a timecard. Also, I love that you can see how much PTO has been accrued. The best thing is that if you mess up your timecard, it is really easy to resubmit.This is one of the most user friendly solutions I have worked with if set up properly and by a professional. Highly recommended to everyone. The interface is easy to operate and can be used by anyone. bulky software; requires more technical support. There is nothing that I do not like about this application . I recommend this product for your company. I cant believe so many people still manually write and fill out timecards. This service is great to use and it also is fast and easy to use! We used it in some projects in which we had to be precise with the financial, material and even human resources, and the monitoring and monitoring experience was excellent, sophisticated and with the results we expected. "Finance Transformation for the Savvy Finance Team"
It's everything you need and things you didn't know you wanted. You can scale it to grow as your business grows. Multiple sessions can be logged in simultaneously. You can see changes made by users real time. I love the alerts functionality. Changes in production environment are pretty instantaneous (i.e. user account provisioning, updating account and ledger hierarchies, inventory transaction postings, invoice workflow approvals, Supplier setups, etc.) I also like that we have a dedicated team of customer success and sales professionals who are always eager to help us, eager to understand our business, and always looking for ways to add value. Not having a comprehensive error log to quickly troubleshoot errors we encounter. The quality and level of support provided by My Oracle Support. We are currently considering purchasing Advanced Customer Support as a result. Identify the champions of change in your organization and those within Finance, HR, Supply Chain and Technology who understand the future of Finance and your company for you. Have goals that are broken down into plans by quarter/month and work with a Vendor or Oracle to translate those into functionalities in the system and to reveal any gaps. Highlight manual processes you'd like to automate and by when. Even after going live, go back to that to see how far you've come and what to look forward to. There's lots of functionality and each business has to make a decision whether to make a lot of change all at once or in increments. Visibility, access controls, and better planning. The pre-built analytics solutions for real time decision making are great. Visibility into the financials, as we prepare for the future. Access Controls: We know who's accessing what and when, and we can quickly control that access and scale it as our needs or business grows. We started as a small company with only 40 people but have grown to over 220 this year and we didn't outgrow this tool. We realized even more benefits with more use. "Good work for Checking on PO/Invoice Status"
With both systems, information, once received, is presented in a concise manner, usually being very straightforward in what the status is for invoices, POs, and payments. Looking for concise invoice reporting? This is your bet. I wish the GUI was a bit...smoother looking? The GUI can be a bit intimidating to navigate at first sight, and it did take me a bit to learn it. I also wish, like the SAP system we also use, that it would allow more commenting on what the status was in further specifics, and more specifics on where it is in the process of payment. Creating reports can be a bit of a hassle, as well. I check invoice/PO/payment status for our customers. As I mentioned above, it gives concise answers that I can relay to the people on the other side. For Oracle EBS is an upgrade in terms of usability and features. It's integrated with all the HR suite and CRM in a seamless way. It cam to automate several manual processes in our organization and the pace of the implementation was amazing comparing to on-premise solutions. In our case we migrate the ERP, SupplyChain, HCM, BI & Analytics all at once within a period of 9 months. Too many tabs that now in this new release can be customized by the organization or the user itself. THe license model can be improve since there are users that handles limited profiles and use a full license. Another improvement is allow customers to customize their landing pages with the organization like white label product powered by Oracle or something. MAke sure the end user gets involve in the process. Is not an IT Project. Integration withing FInancial, HR and Sales information. It solves all the manual processes in the financial and HR department. Integrated with the SOA Cloud solution the current legacy ecosystem improving the internal uses experience and saving time in internal processes for finance, purchasing and human resources. Our company implemented Oracle ERP Cloud which went live July 2018. We came from an on-prem solution, so converting to the cloud has allowed our associates to work outside if our offices. The approval features for Journal Entries and AP invoicing is amazing to approve via email on any device. Issuing SRs are not the most user friendly and we purchased the advanced collections but have been unable to use it. "Oracle ERP is best suited for any range of enterprises. " The depth of modules oracle offers is staggering. Apart from standard modules like General Ledger, Accounts Payables, Accounts Receivables, Purchasing, Manufacturing, Customer Relationship Management, Human Resources, Payroll etc.Oracle offers niche modules too. Oracle ERP is in existence since long and over a period of time Oracle mastered many best practices across industries. The module like Oracle iProcurement which touches many end users can be made more user friendly. The Oracle Java forms can be made compatible with all the browsers. Currently chrome browser does not work well with Oracle. "Improved UI in Oracle Cloud Financials Release 13 18C"
UI keeps improving, Less kludgy than last year. Too much like EBS. Not customizable to our needs. Had to use creative workarounds. Data loads were very hard. No backend SQL update access was major hinderance to implementation. Migration of configuration is horribly complicated by GUIDs compared to other competing applications. Difficult implementation means they'll go to another vendor that makes it easier. Make Oracle Cloud ERP extensibile. If you allow system to be customized, adoption will explode! Thomas Kurian obviously did not understand that is the main reason customers a migrating to Oracle Cloud ERP -- their hands are tied. System limited functionality just doesn't cut it. Customizable ERP systems sold like wild in the 90s because customer could customize the software to their needs. One size does NOT fit all. "Flexibility & Customizations Are the Key"
Flexibility & Customizations Are the Key. We all know about the advantages of cloud but Oracle on top of the cloud adds customizations which make the product unique and powerful. Customer Information setup and updates using Oracle Financials Cloud is what we use it for. Primary Benefits are the customization and tailor fit features that it offers. Oracle does a good job at automating a decent number of transactions. The interface is sometimes very slow to load and navigate. Oracle provides a way to work from anywhere via the internet. Since everything is cloud based, it is easy to access the accounting system at any time with internet access and eliminates the need to download a program to your computer. "Enabler for Enterprise Digital Strategy"
Oracle ERP Cloud allows us to work closely with our European subsidiaries by monitoring and configuring the products they are selling. It seems as though there are still some bugs that need to be worked out. We've had to open dozens of SRs with Oracle which have resulted in them logging new bugs. We are implementing a consistent way for all our subsidiaries to submit and manage orders. "Interesting Post Go Live Findings"
The intercompary feature has been a huge win for our company. It has eliminated a vast amount of manual work. The Financial Reporting has been our largest hurdle. After a three year implementation, we still do not have complete and working financial statements, which is very troublesome to our Stakeholders. The Cash Management has also been a challenge for our company. I'm hoping to find some solutions to this during OOW#18. Intercompany has been solved for our business. It has taken away the aspect of user error and labor time from our processes. UI compared to Oracle EBS (premise). Few features are missing from current EBS like searching by invoices, increasing the field size. In addition, new requirements are pushed for future enhancements which would be a great value to the product. After quarterly updated, the system integration breaks which bring lot of challenges to the development team particularly for development team. Before moving to cloud, suggestion would be to redesign current business process. "Good Product, Lots of Customization"
There are a lot of customization features with Oracle products. Can sometimes be slow or get hung up easily - lots of room for bugs. Most of my job I could not do without Oracle Financials Cloud! It maintains all our information and makes running reports or finding information very quick and easy. "Oracle looks nice but gets confusing"
I think the design layout is beautiful and on the surface it seems very user friendly. I'm often confused by the organizational layout, and I sometimes have trouble navigating around Oracle. It keeps track of pay check information, which is handy to access, but sometimes I get lost in the program. Helped us consolidate into one chart of accounts, from 9 ledgers, to achieve our goal of a centralized shared service for Finance. Oracle Financials Cloud is amazing as the name suggest. Everything is cloud based and you can work from anywhere. Definitely increases the productivity. You have to have internet. cannot work live without the internet. Definitely helps to analyze the financials and the setup is great, user friendly. Improvement over EBS, much simpler for users. Some bugs, hard to fix since need support from Oracle. Solid product, but bugs need to be fixed by Oracle so it can cause delays. GL, AP, Cash management and receivables. Data import and export from PBCS through FDM. I think the user experience has improved a lot from the good old EBS days. Apart from Oracle Financials Cloud, we also have the Oracle Procurement Cloud, Risk Management Cloud. We are trying to bring everything under one umbrella for better user experience. - The supplier portal implementation has helped us to on-board suppliers with proper approval process. - Shopping should not be this complicated. The procurement cloud has helped us in improving the UX experience. "A platform for big and small businesses "
It's designed to be used by any business, regardless of their size. It is simple and is applicable to many areas of business such as accounting and project management. Its not very customizable, the monthly charge is pretty steep and a poor internet connection makes it run very slow. Recommended for presentations concerning difficult topics such as financial data because you can organize data and have metrics calculated. It can help lower operating costs and ensure financial accountability. "global company moves to ERP cloud"
change management is key and spend extra time on integration design. ease of reporting, standard process accross the globe. The easy and detail of the financial reporting process has made our closing procedures less manual and more mistake free. "user interface of oracle db is very 90s"
there is a lot of options and features that can be added onto Oracle Erp. I like the asset module which helps us a lot in tracking vehicle. the user intereface is not user friendly or intuititive. i would like to get better reporting feature out of it that will enable to get more reports and customize-able items out of itm. we use it for our financial reporting. monthly accounting entries and financials. No doubt Oracle Financial Cloud is its main service in all cloud services. Enhanced function and adaptability are nice. I am expecting automated AP, AR processes soon. "Useful but kinks to work out"
AL and Machine learning experience. East to use and friendly. Nothing, AL and Machine learning experience. East to use and friendly. no more upgrades, quicker time to market for new features and value. Perhaps the option to reduce quarterly updates to 2-3 times per year. Keeping up with the updates poses operational challenges. "Too costly to switch once you're in"
Cloud-based - minimizes support needs and having a dedicated onsite team. Almost everything - not very flexible, many manual tasks, tons of bugs, and very slow performance. The visual format is easy to use for employees first learning the system. I have run into many issues that were not able to be solved with guided learning, the consultants, or through an SR. The system appears to work well when everything is going smoothly. The switch to OFC has highlighted issues in our business processes. "We are using Oracle Apps for our fin apps"
Its usability and easy to maintain. Also setting up is straightforward. Support is not so good. Oracle needs to bump its support in all Middleare products. "User review for ERP Cloud"
I enjoy the ease of the database during my quarterly reports. Some of the pull down categories don't direct me to the information fast enough. "Pros and cons in the financial services industry"
It provides structure for procurement to understand where purchases and requisitions need to go when dealing with a company’s balance sheet. There are better platforms out there, however being that it’s been implemented for years, it’s hard to shift away from. Procurement. Tracking invoices and transactions within the company. "The application experience leaves a lot to be desired." It does the job, but there could be a more intuitive interface / experience. The interface / experience is clugy, it takes a long time to enter information. Consider leveraging more of a "social media"-type interface to engage users and allow for a more intuitive experience. "working with Oracle ERP since 1998"
The automatic updates and security. I like the fact that the developers do not have to apply the patches. The developers rarely met patching deadlines. Have a strong communication exchange on requirements and possible uses of the software. Managing the ERP finance hardware. "A Great financial cloud "
"Best Choice for Our Biz"
Its complete cross-functional solution in the cloud as well as its integration with an enterprise social network. I like it that it's comprehensive, functional and scalable financial solution. I don't have a deep and extensive use of it right now to find something to dislike. Modernization of current ERP system. The future of the ERP are amazing and easy. ERP Mobile App, once you get it out of the shelf is not that good. Just Go A head with Oracle, coze all what you need are there. The Assets module which I used now allows for easier uploads using spreadsheet and this is really helpful. User friendly and intuitive design that enables the business to focus on value-added work. Journal upload templates are ok, but not as desired by employees. We are beginning our implementation journey to automate many manually processes, creating efficiencies. we have access to data we never had access to previously. We anticipate shorter close cycles. all of the testing ! But you have to do it ! Learning about Oracle Financials Cloud? * We monitor all Oracle Financials Cloud reviews to prevent fraudulent reviews and keep review quality high. We do not post reviews by company employees or direct competitors. Validated reviews require the user to submit a screenshot of the product containing their user ID, in order to verify a user is an actual user of the product. Hi there! Are you looking to implement a solution like Oracle ERP Cloud?